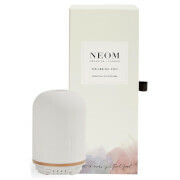 Containing natural vegetable wax and 100% natural fragrances, the NEOM Organics Tranquillity Standard Scented Candle boasts a relaxing, sweet aroma designed to relax the mind and promote a good night's sleep, filling the air with natural goodness. With a burn time of 35 hours, it's formulated with extracts of English lavender and sweet basil with hints of jasmine for a tranquil, soothing scent. Free from toxins, the Tranquillity candle is made only from the purest ingredients. K.D. 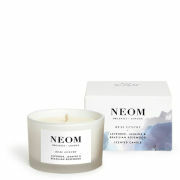 This product is fab, a gorgeous delicious scent which relaxes and calms the mind. A real treat to help you unwind at the end of a busy day. I simply adore the fact that there are zero toxins in this product. I make sure to always have this gorgeous candle at home, its just like a hug in a glass. Fantastic burning time too.